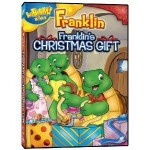 Franklin is about to have his own very special Christmas this year that is sure to delight your family and children. Franklin and his friends have decided to help out the needy and donate a gently used toy to a needy child. Franklin has a hard time picking something, and doesn’t want to give up any of his toys… will he learn a lesson and give to the needy?